Spread the cranberry sauce over the bottom of the pudding bowl. Rub the flour and buttery baking spread together until they form crumbs. Whisk the eggs and 250g Carnation Light Condensed Milk together and then pour into the buttery flour crumbs. Mix thoroughly and then stir through the cranberries and orange zest. Pour the mixture into the bowl, covering the cranberry sauce. Seal the bowl with 3 layers of cling film. 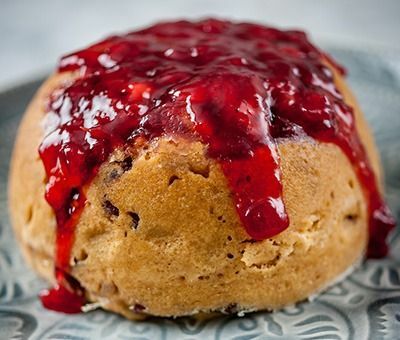 For extra glazing: When the pudding is ready, spoon 2 tablespoons of cranberry sauce over the top.